Pep Guardiola has won the FIFA Club World Cup three times, a competition record. The FIFA Club World Cup is an international association football competition organised by the Fédération Internationale de Football Association (FIFA), the sport's global governing body. The championship was first contested as the FIFA Club World Championship in 2000. It was not held between 2001 and 2004 due to a combination of factors, most importantly the collapse of FIFA's marketing partner International Sport and Leisure. Following a change in format which saw the FIFA Club World Championship absorb the Intercontinental Cup, it was relaunched in 2005 and took its current name the season afterwards. The current format of the tournament involves seven teams competing for the title at venues within the host nation over a period of about two weeks; the winners of that year's edition of the Asian AFC Champions League, African CAF Champions League, North American CONCACAF Champions League, South American Copa Libertadores, Oceanian OFC Champions League and European UEFA Champions League, along with the host nation's national champion, participate in a straight knock – out tournament. Pep Guardiola is the first and currently the only manager to have won the tournament with Barcelona and Bayern Munich on three occasions altogether; he led the Spanish club to success in the 2009 and 2011 finals and coached the Germans to victory in 2013; nine other managers have won the title once. 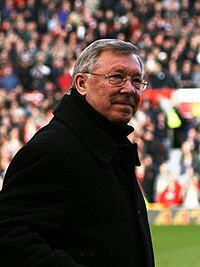 Sir Alex Ferguson became the first foreign manager to win the title with a foreign club, Manchester United in 2008; Rafael Benítez and Guardiola followed suit in 2010 and 2013. Carlo Ancelotti is the most recent manager to have won the FIFA Club World Cup, having won it with Real Madrid in 2014. Brazilian and Spanish managers hold a joint-record for most consecutive appearances of winning managers with three back-to-back appearances each. Rafael Benítez became the first manager to reach the FIFA Club World Cup final with a foreign club when his side lost the 2005 final; Benítez led other foreign clubs to the final in 2010 and 2012 with Frank Rijkaard, Lamine N'Diaye and Faouzi Benzarti accomplishing the same feat in 2006, 2010 and 2013, respectively. Sir Alex Ferguson became the first manager to win the competition under those same circumstances in 2008. Pep Guardiola is the only manager to have led one club to the final on more than once occasion, coming out victorious in 2009 and 2011. The inaugural final remains the only one which saw two managers from the same nation. Paulo Autuori won the 2005 final with São Paulo. Sir Alex Ferguson became the first manager to become world champion with a club from outside his home nation, as Manchester United won the 2008 FIFA Club World Cup. Rafael Benítez has led three different clubs to the decisive match of the competition, a record that stands today. Carlo Ancelotti is the first manager to have won the FIFA Club World Cup for the European clubs. Pep Guardiola is the only manager to have won three FIFA Club World Cups, twice with Barcelona and once with Bayern Munich. Rafael Benítez, alongside Guardiola, holds the record for the most appearances leading English clubs Liverpool and Chelsea, as well as Italian club Internazionale, to one final each. Lamine N'Diaye of Senegal, Faouzi Benzarti of Tunisia and Masatada Ishii of Japan hold the distinction of being the only non-European and non-South American managers to have appeared in the final, as well as the only managers to have led a club outside the fore mentioned continents into the decisive match; those feats were accomplished during the 2010, 2013 and 2016 finals, respectively. Spanish managers have had the most success in the competition, amassing five titles in seven appearances each. Brazilian managers have won it four times, Italian managers have won it twice, while a Scottish manager has only won it once. Argentine managers hold the dubious record of the most losses, with once winning the competition and obtaining three consecutive defeats. European managers remain the most successful of the competition, with a total of seven titles. Their South American counterparts are second with four titles, while Africa has had two managers lead a club into the final. ^ a b "FIFA Club World Cup Japan 2012 – Regulations" (PDF). Fédération Internationale de Football Association. Retrieved March 11, 2013. ^ "Brazil 2000 Final Draw". Fédération Internationale de Football Association. October 14, 1999. Archived from the original on November 9, 2013. Retrieved March 6, 2013. ^ "FIFA decides to postpone 2001 Club World Championship to 2003". Fédération Internationale de Football Association. May 18, 2001. Archived from the original on November 9, 2013. Retrieved March 6, 2013. ^ "Toyota confirmed as FIFA Club World Championship 2005 naming partner". Fédération Internationale de Football Association. March 15, 2005. Archived from the original on November 9, 2013. Retrieved March 6, 2013. ^ a b Brazilian managers have won four finals, they also have appeared in the final three times consecutively in 2000, 2005 and 2006. ^ a b Spanish managers have won four finals, they also have appeared in the final three times consecutively in 2009, 2010 and 2011. ^ a b c d "Sao Paulo FC - Liverpool FC". Fédération Internationale de Football Association. December 18, 2005. Retrieved March 6, 2013. ^ a b c "Sport Clube Internacional - FC Barcelona". Fédération Internationale de Football Association. December 17, 2006. Retrieved March 6, 2013. ^ a b c d e f "Internazionale on top of the world". Fédération Internationale de Football Association. December 18, 2010. Retrieved March 6, 2013. ^ a b c d "Red Devils rule in Japan". Fédération Internationale de Football Association. December 21, 2008. Retrieved March 6, 2013. ^ a b c d e "Barça belatedly rule the world". Fédération Internationale de Football Association. December 19, 2009. Retrieved March 6, 2013. ^ a b c d "Santos humbled by brilliant Barcelona". Fédération Internationale de Football Association. December 18, 2011. Retrieved March 6, 2013. ^ a b c "Corinthians - Vasco da Gama". Fédération Internationale de Football Association. January 14, 2000. Retrieved March 6, 2013. ^ a b c "Dominant Milan rule the world". Fédération Internationale de Football Association. December 16, 2007. Retrieved March 6, 2013. ^ "Guerrero the hero as Corinthians crowned". Fédération Internationale de Football Association. December 16, 2012. Retrieved March 6, 2013. ^ and Scottish managers have one final in 2008.